It is always a measure of how much has changed in the making and presentation of music when an artist like Maria Schneider uses ArtistShare – this will be her fourth – for one of her musical adventures. Let there be no misunderstanding, anyone could use crowd-funding to come up with the money to finance a recording. 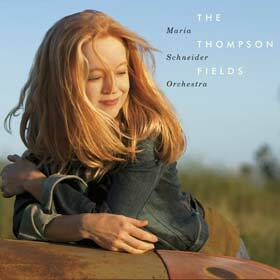 But hers are no ordinary recordings and Maria Schneider is not just any musician. So why is all of this bemusing to me? Well first of all, it seems curious that Ms. Schneider would need crowd-funding at all. She is an A-Lister, no? Wouldn’t it mean that she would be ushered in the door of a major label with gloved hand? Wouldn’t she then be wined and dined and courted by many? She’s Maria Schneider after all. 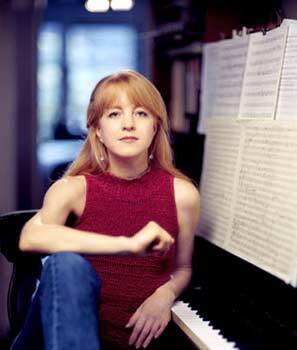 So where are all the big labels; the EMIs and the BMGs of the world, eager to swoop up someone as covetous as Maria Schneider? So, crowd-funding. There is this thing and there is the use of it by an artist such as Maria Schneider. As an artist, she is top drawer. Enormously talented, Ms. Schneider has continuously wielded a pen so mighty that she has turned musicians weak in the knees. Likewise with aficionados and just plain music lovers as well. So when Ms. Schneider announces that she is ready to create new music and produce it, she has backers who commission the music, by – you guessed it – crowd-funding and you have people ready to give generously; so generously that Maria Schneider was able to not simply produce The Thompson Fields, but present the music between the hardcovers of such a ravishingly beautiful package that even if you were not a devotee of her music, you would still buy it on looks alone. I am not so sure that Maria Schneider is the only artist who can produce something quite so beautiful using the tricks of new commerce. I can see this happening to many other artists and I would certainly hope that some of the great yet unheralded jazz artists might take a cue from this experience. It probably would not take lorry-loads of money (although I feel sure that Maria Schneider’s commissioners and other backers must have raised significant sums of money). Still, good art will always find love. So what’s stopping most lovers from showing some? Labels that don’t really care about art anymore are one reason. And then there is digital downloading, the death of all musical art. Happily, though the art of Maria Schneider is still alive and, as this lavish package would suggest, in the pink of health. And, with The Thompson Fields, Ms. Schneider appears to be inhabiting a new and rarefied realm where, dare I say, once only so-called contemporary classical composers dwelled. Here is music presented in a series of poetically described vignettes. And how exceptionally beautiful it all is. Here is music in which nothing can and has been omitted, not a single turn of melody, not a single modulation. It seems that Ms. Schneider has paid the strictest attention to every detail of expression, a fine, but not over-refined execution of each individual intonation, as in the case of well-enunciated singing. It may be my imagination, but the flow of this recording courses through the room like early-morning sun. It’s deceptively simple and almost prosaic title could hardly be more apt. For here, unmistakeably, is where the spark for Maria Schneider’s inflammable brilliance first ignited. Perhaps the wait has been worth it, because these one-to-a-part performances by the Maris Schneider Orchestra have the heat to make your blood run faster. I don’t mean heat of the hard-driven, percussive kind so often encountered today; on the contrary. Line is always respected, tempos are up there with the pace but never over-pushed, and the instruments are allowed to speak with warmth and humanity. There is plenty of detail, but it is never fussy, and ornamentation is always clever, sometimes humorous, often delightful. Add to that technical excellence – the exactness of which brass, reeds and woodwinds articulate their semiquaver groups in “The Monarch and the Milkweed” or the cutting precision of the scurrying continuo at the end of “Nimbus” and a recorded balance that hits the perfect combination of blend and clarity, and you already have the ingredients for something memorable. What really shoots this recording straight to the top of the pile, however, is the sheer unalloyed joy of it, the spontaneity and the tireless, surging musical energy of its many sudden feints and sallies. How grippingly, for instance, the tension climbs in the often simple enough dusty road in “Walking by Flashlight” or in the craggy promontories of “Home”; how liltingly the off-beat guitar strums add springy definition to “The Potter’s Song”; and how invigoratingly the taut energy of those quarter notes in “Lembrança” find release in a glorious chain of suspensions, and the witty interplay of the final bars spills over into a final-note twiddle that is pure natural exuberance. Such things are what we have come to expect of Maria Schneider of course, but in these pieces her musical personality finds a home so congenial that it simply bursts from the speakers. Not that this music is all uniform bonhomie, however. There are parts in this gorgeous music subtly drawn, with slow movements of concentrated stillness and lyrical beauty and a gently coaxed finale thrown in which with delicate dynamics, relaxed tempo and free-spirited attitude to rubato, likewise creates a winsome expressive world of its own. This year so far, this is the album to die for. Track List: Walking By Flashlight; The Monarch And The Milkweed; Arbiters Of Evolution; The Thompson Fields; Home; Nimbus; A Potter’s Song; Lembrança. Personnel: Maria Schneider: conductor; Steve Wilson: alto saxophone, soprano saxophone, clarinet, flute, alto flute; Dave Pietro: alto saxophone, soprano saxophone, clarinet, flute, alto flute, bass flute, piccolo; Rich Perry: tenor saxophone; Donny McCaslin: tenor saxophone, clarinet, flute; Scott Robinson: baritone saxophone, bass clarinet, alto clarinet, clarinet; Tony Kadleck: trumpet, fluegelhorn; Greg Gisbert: trumpet, fluegelhorn; Augie Haas: trumpet, fluegelhorn; Mike Rodriguez: trumpet, fluegelhorn; Keith O’Quinn,: trombone; Ryan Keberle: trombone; Marshall Gilkes: trombone; George Flynn: bass trombone; Gary Versace: accordion; Lage Lund: guitar; Frank Kimbrough: piano; Rogerio Boccato: percussion (8); Clarence Penn: drums; Jay Anderson: bass. Since I wrote this I was given to understand that Ms. Schneider would not trade ArtistShare for anyone else. I for one would never hold that against her!